Dementia is a psychological disease in a person suffering from mental disorder; This ailment leads to a decline in his mental ability and changes his personality. There is a professional organization that provides home care in Bermuda for Dementia Patients. The Dementia care in Bermuda does this job efficiently. Beyond the basic caregiver duties, some client who is suffering from dementia needs special attention. So the caregiver should keep in mind that when they handle dementia patients the situation is different than handling a normal older client. So the caregiver needs to be dynamic and always ready to respond to different situations. Proper Medication: A caregiver should help the client/patient take prescribed medication. 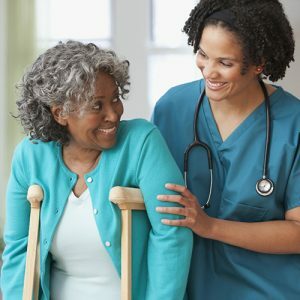 The Caregiver is needed to take care of the patient and assure that medicines are taken on time. Monitoring health: When the treatment of a Dementia patient is being done while they are staying at home, a caregiver is required to monitor their health whether it improves or deteriorates. Assist with daily living activities: Dementia patients are mentally disturbed, so they can’t do daily routine activities. The caregiver can help them with dressing, bathing, grooming and other daily activities. Psychological Support: A companion provides mental support to a patient suffering from Dementia. Here a professional caregiver plays a vital role. He provides that psychological support improve their mental condition. Meet emergency medical need: A professional caregiver is trained to handle the emergency medical needs. At the time of emergency, a caregiver can provide medical assistance to a Dementia patient at home.